Home » Products » Pillow: Stay White Adjustable Pillow In A Bag Hypoallergenic Barrier To Prevent Dust Mites & Allergens. 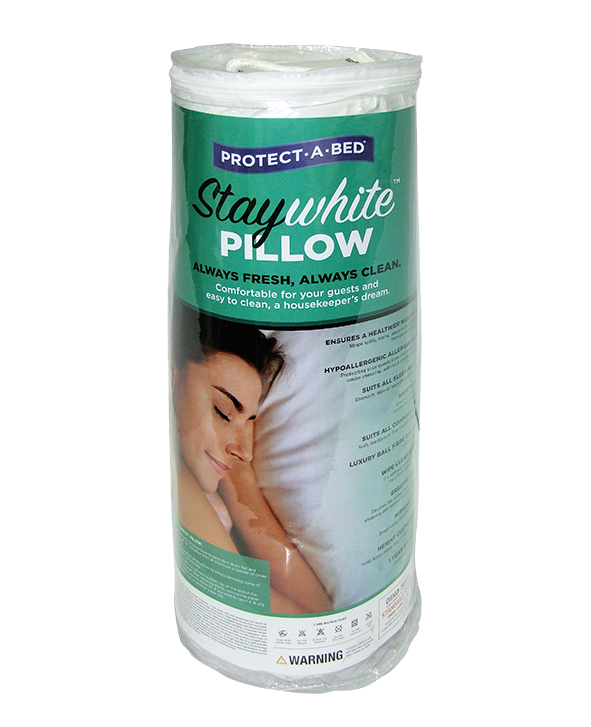 Pillow: Stay White Adjustable Pillow In A Bag Hypoallergenic Barrier To Prevent Dust Mites & Allergens. Adjust filling to your required comfort Soft, Medium or Firm. luxury ball fibre filling 900 grams. Remove filling fold up for easy storage. Hint: keep pillow bag to store excess fill in.